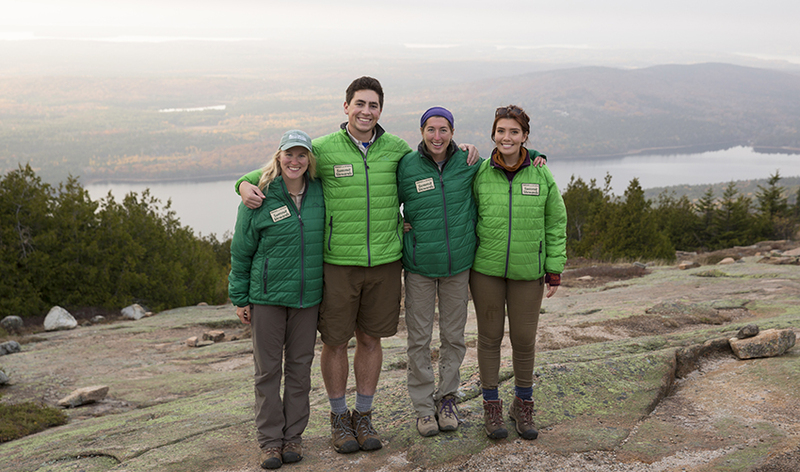 Initiated in 2014 with funds from the Friends of Acadia Benefit Auction, the program places a team of roving educator/researchers on Cadillac Mountain throughout the summer and fall. The Cadillac Summit Stewards spend nearly a thousand hours at the summit each year, answering visitor questions, conducting basic trail maintenance, repairing cairns, removing visitor-built cairns and rock art, responding to emergencies, communicating with park managers, and collecting data about weather, car and bus traffic, visitor usage, and visitor behaviors. 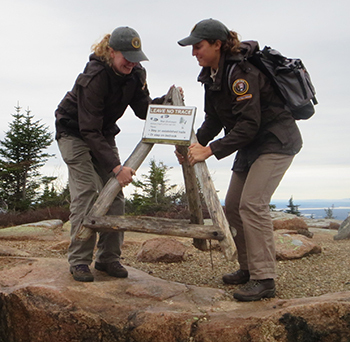 As the Cadillac Summit Stewards hike the trails and rove the summit of Cadillac Mountain during their daily patrols, they gather data on visitor behavior, questions, and challenges; and use their observations to develop suggestions on possible improvements for the summit—from additional trash cans and ash trays to new sidewalks, informational signs, and tweaks to parking lot layout. The stewards are typically college-age students or recent grads with an interest in outdoor education or ecology. Open positions with the Cadillac Summit Stewards are generally posted in January or February for the following summer, at Employment Opportunities.